that will make You, Your Event, and Your Guests Look Like Royalty. We hire awesome people (and treat them well). We use the best ingredients (we have really nice lights). We treat our customers like someone we care about (we do the right thing). Let us know by email, phone, or text what you decide. Cheers your guests and make history and take a bunch of pictures with your friends that probably won’t even need a filter because the lighting looks so perfect. 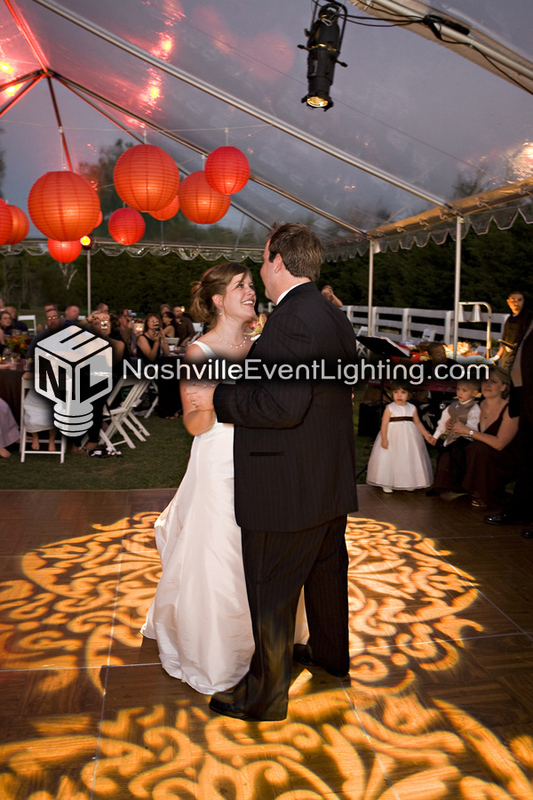 Elegant bulbed market style string lights throughout your event, as need (including entire tent(s) or the open air patio (depending on your layout). Package includes all labor, set-up, and delivery (there’s no “gotcha” fees…we promise). 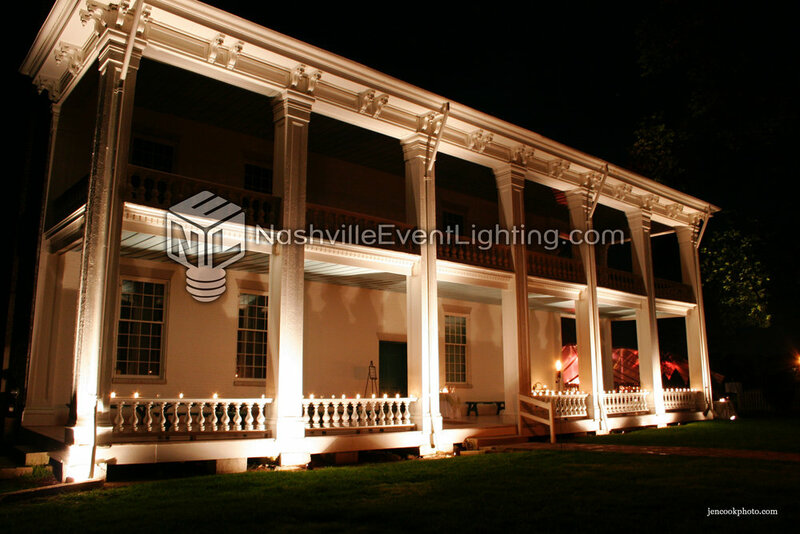 Create instant ambience, depth, and set the mood with 20 high-quality LED up-lights placed strategically throughout your event (including bar tent, inside, trees, bathrooms, etc…let’s get creative). Highlight your centerpieces, flowers, food, guestbook table, cake, or even an ice sculpture (if you must!) with 10 high quality, high-tech, battery-powered, so small you won’t even know they are there pin-spots. All packages include Labor, Delivery, and an On-Site Operator. The On-Site Operator is an NEL team member who remains on site throughout the event to ensure everything runs perfectly for your event. 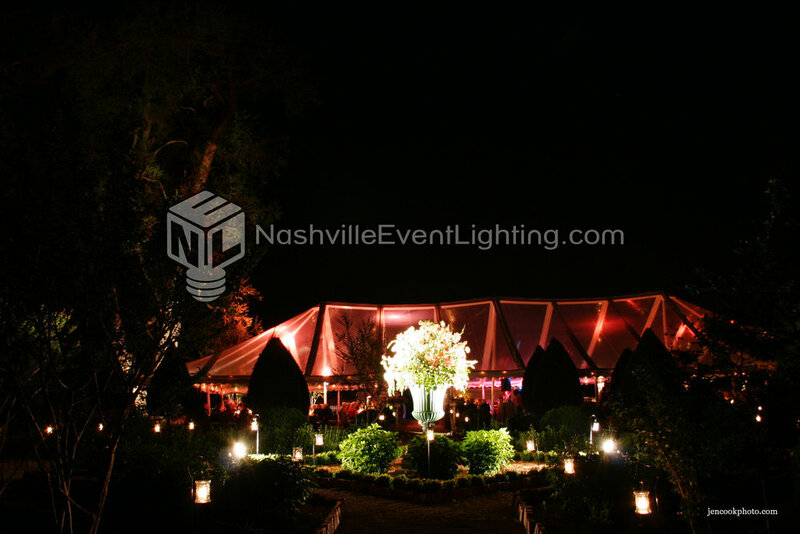 (oh yeah, having an operator on site also means there is no sales tax when you work with Nashville Event Lighting, as it’s a service)! Up-Lights: Installed on the perimeter floor of the room, these are the lights that make the whole room glow with an ambient hue. Pin-Spots: Lights used to accentuate centerpieces, cakes and desserts, or provide functional lighting on guest tables, bars, or buffet tables. With a dedicated light on the the features of the room, there is a new depth and character highlighted! 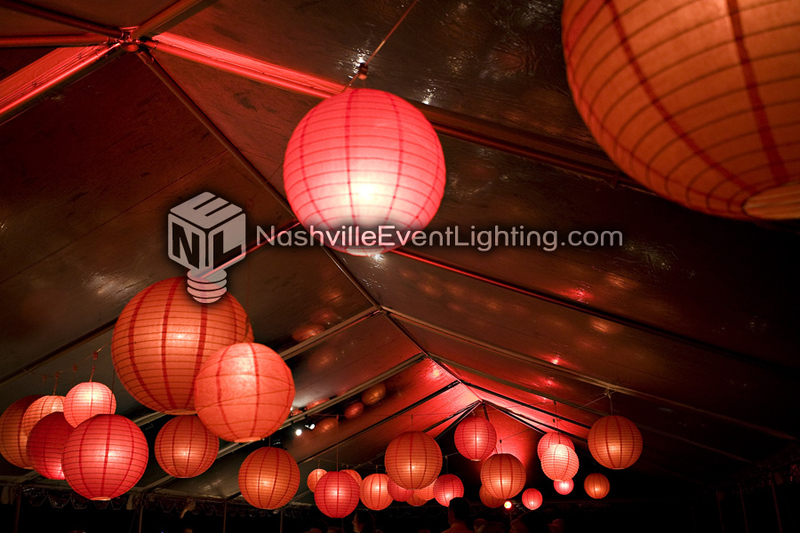 GOBO: A template used to project light through onto a floor, wall, or ceiling. This allows us to put your name in lights! (GOBO, actually stands for “Goes Between Optics” for all you lighting nerds out there). String-Lights: A strand of Elegant bulbs on a white or black strand that are dimmed to perfection.